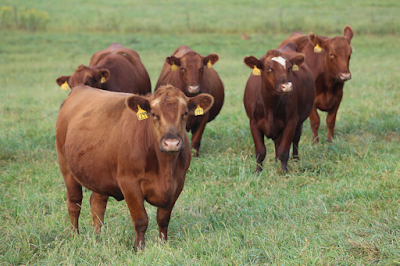 Red Angus Association of America announces release of Dry Matter Intake (DMI) and Average Daily Gain (ADG) EPDs. Why not release a RFI EPD? The animals ranking for feed efficiency changes based on how we express the trait. 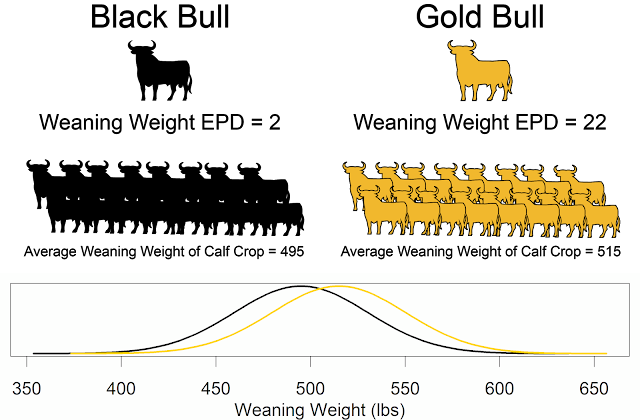 http://blog.steakgenomics.org/2014/08/improving-feed-efficiency-feed.html The best way to account for the cost of additional feed intake is through an economic selection index in which we balance both growth and intake. "Five Reasons to DNA Test Your Cows"
Head over to the American Hereford Association website to learn more about DNA testing your cowherd. Did I miss important beef genetics and genomics news? Send me a message on Twitter or Facebook.